Welcome to our Vilas Real Estate Guide! Find your Vilas Madison home today! Located between the University of Wisconsin and Edgewood College, the Vilas neighborhood is one of a kind. The setting is cozy and filled with shops and restaurants within walking distance. The Henry Vilas Zoo is a wonderful part of the neighborhood and a stroll along the shores of Lake Wingra will ease anyone’s mind. The Greenbush addition in the neighborhood is steeped in great tradition and the Italian Workmen’s Club are staples in the area. Just a stone’s throw from Vilas this neighborhood sees a mix of student housing as well as families that like to be near Camp Randall, St Mary’s and Meriter Hospitals. Each neighborhood has its own style and history, but if you are looking for an ideal location in the City of Madison, look no further than the Vilas / Greenbush neighborhood. 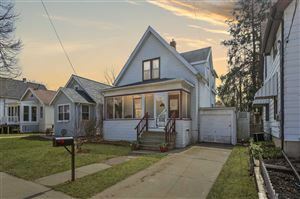 See all Vilas/Greenbush Neighborhood Homes for Sale.